This is the content for Layout Div Tag "player"
We have built a strong relationship in our community. Take our customer's word for it! We encourage customers to give us feedback. 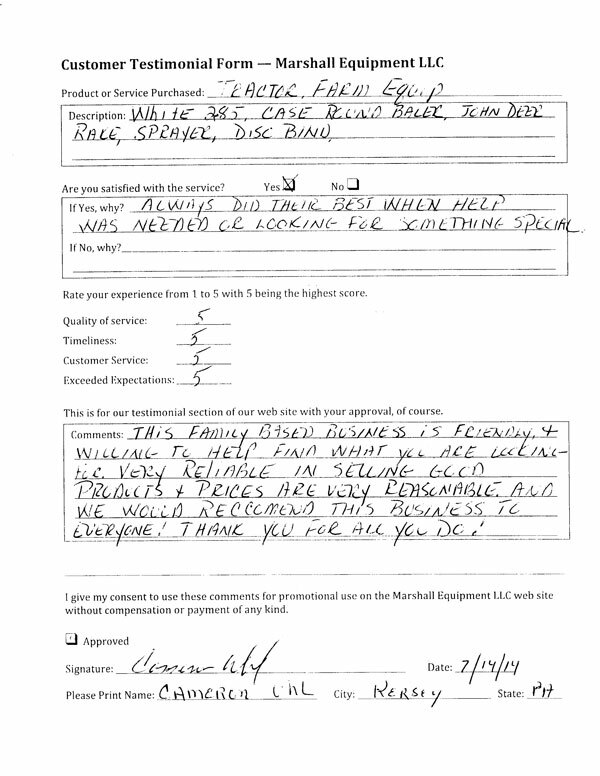 We are as good as our customers say we are. 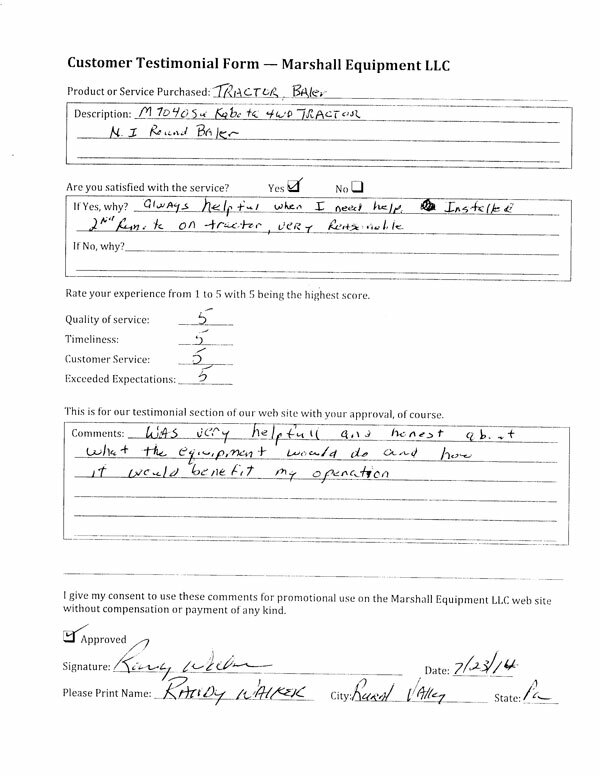 "I have purchased several different pieces of equipment over the years. (20-25) Some pieces were through the shop, some were not, but all were described to be in the shape that I received them. I only had one piece of equipment that did perform as expected when on the farm. Marshall Equipment fixed the problem. Before buying from another dealer, I always check to see if Gene or Greg have what I'm looking for and/or have them find what I am looking for. It usually works out." "This family based business is friendly and willing to help find what you are looking for. Very reliable in selling good products and prices are reasonable. We would recommend this business to everyone! Thank you for all your do!" Purchased: White 285, Case Round Baler, John Deere Rake, Sprayer, Disc Bind. 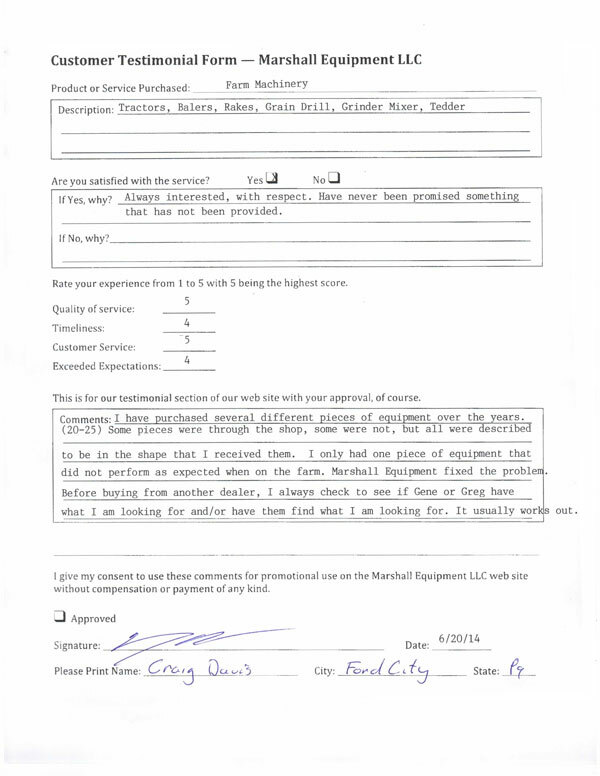 "Was very helpful and honest about what the equipment would be and how it would benefit my operation." "Good selection of equipment at very competitive prices. 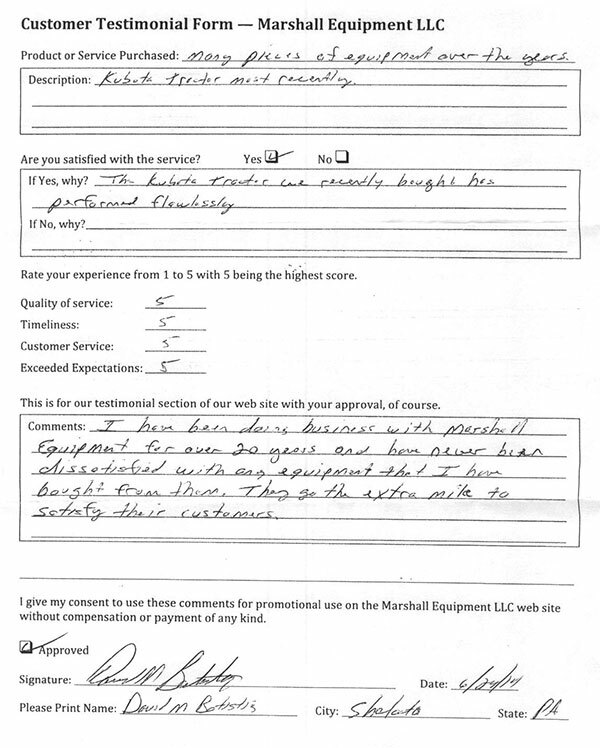 When I replace or upgrade a piece of equipment, I always check with Marshall's first." 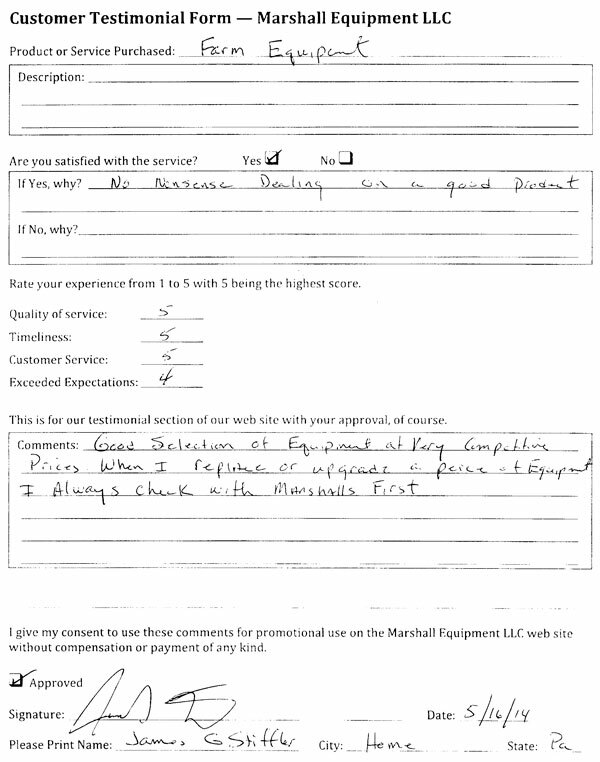 "I have been doing business with Marshall Equipment for over 20 years and have never been disappointed with any equipment that I have bought from them. The go to the extra mile to satisfy their customers."